• PLOT SUMMARY: Written by Joey Cavalieri. Art by Val Semeiks & Livesay. Vandal Savage may be successful in his ambition to bring about the end of mankind's days on planet Earth. 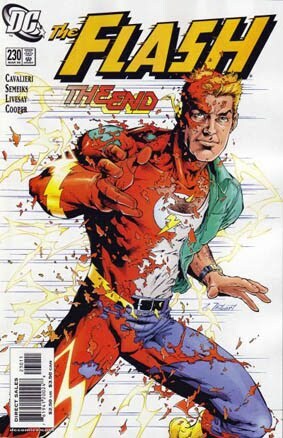 Can Wally West save him, or are these his final days as well?